If your dog chases sheep or livestock you are heading for disaster. A dog that worries, attacks or chases livestock is contravening the Dogs Act of 1953. This is punishable by a hefty fine, compensation and possibly a destruction order. A farmer can lawfully shoot a dog caught worrying his livestock. 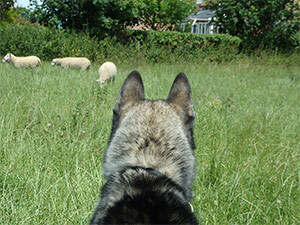 Once your dog has chased sheep or other livestock it is almost certainly going to do it again. Dogs enjoy chasing things but once this becomes livestock you have a massive problem. Farmers regularly shoot dogs caught chasing their livestock or involve the police to pursue a prosecution. Lynne Davies works with dog owners who have lost control around livestock. Whether your dog is chasing or has killed or injured animals in the past, a session within a flock of sheep could provide the answer. Beginning with a quick chat Lynne will then take you to the sheep field and work through the problem to find a solution. Techniques and methods will be discussed, agreed and explained fully throughout the session. Once the session is complete backup via phone and email is included and if a second session around sheep is required this will be organised at no extra cost. Don’t think that your dog won’t do it again, do something about it now before it is too late. Sheep Training Sessions begin at Lynne Davies Dog Training Centre and continue at a near by sheep field. 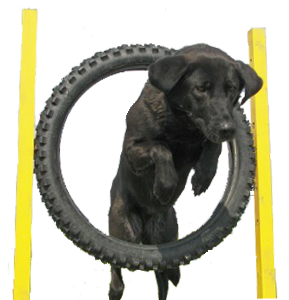 Please contact Lynne Davies Dog Training for more details.